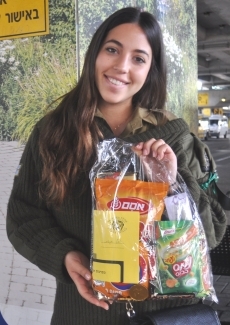 Our kehilla organizes a special program of home hospitality and packages for Lone Soldiers and Member Soldiers (children of our congregation members currently serving in the IDF.) Fifty packages are distributed three to four times a year at Rosh Hashana, Hannukah, Purim and, if funds allow, a summer package. A donation of $100 supports one soldier for a year. they are serving in the IDF.